The White Suits #4 <--- The thrilling conclusion! Frank Barbiere! #1 for $1: Avatar: The Last Airbender—The Rift #1 <--- NY Times Best Selling series. All ages, all fun, all the time. 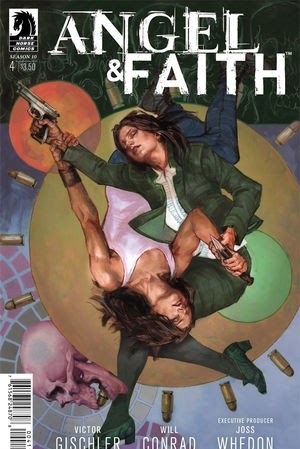 Angel & Faith Season 10 #4 <--- No spoilers in the Buffyverse! Ghost #6 <--- Chris Sebela! The Victories #13 <--- Mike Oeming! Catalyst Comix TPB <--- Joe Casey gets weird! Fear Agent Volume 4: Hatchet Job 2nd Edition TPB <--- $9.99 Fear Agent is pretty excellent! Frank Miller: The Art of Sin City TPB <--- Um… Awesome. Kiss Me, Satan! TPB <--- Victor Gischler! Lone Wolf and Cub Omnibus vol. 5 TPB <--- The best damn manga around. Never Ending TPB <--- DJ Kirkbride! RoboCop vs. the Terminator HC <--- THIS IS SWEET. 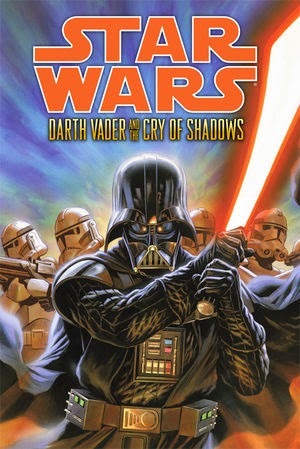 Star Wars: Darth Vader and the Cry of Shadows HC <--- Tim Siedell! The Strain Volume 4: The Fall TPB <--- 2nd trade of THE FALL! Get in before the show! Usagi Yojimbo: Red Scorpion TPB <--- Usagi's 28th volume!